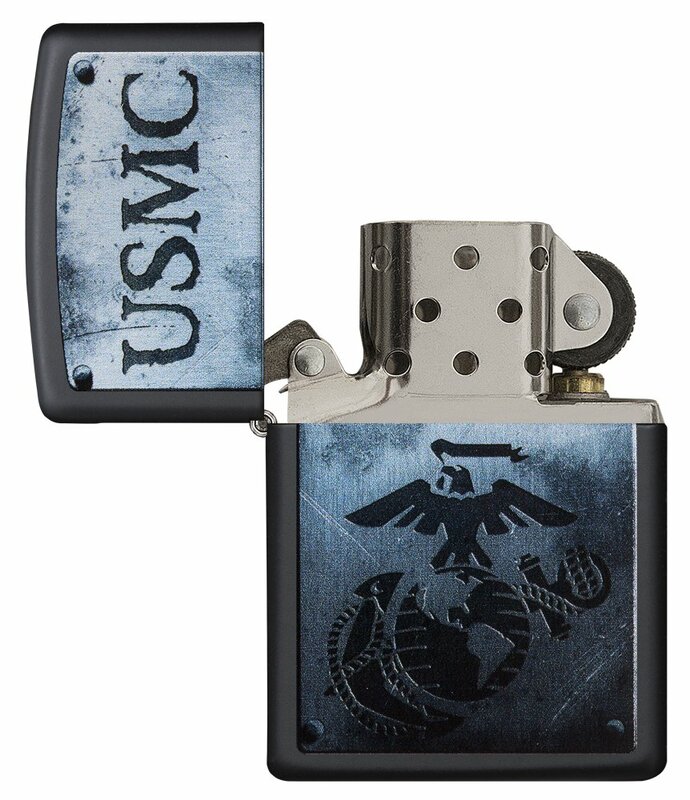 Zippo USMC steel-like lighter. 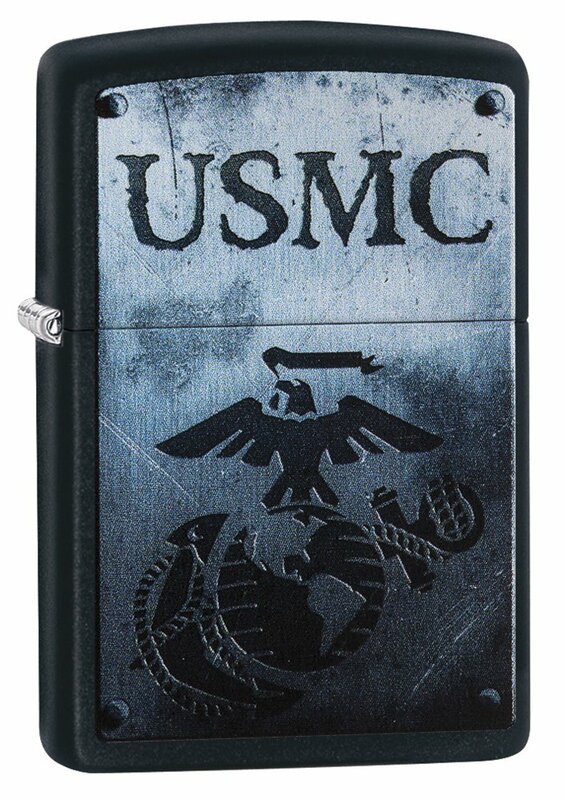 Honor the United States marine Corps with this rugged design. 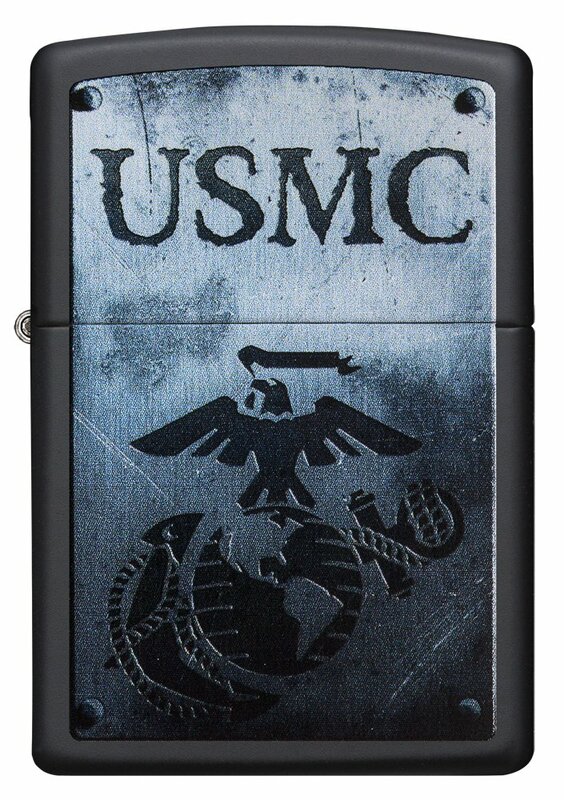 The logo and abbreviation “USMC” are displayed over a steel-like design which gives the effect of being Nailed onto the Black Matte base. 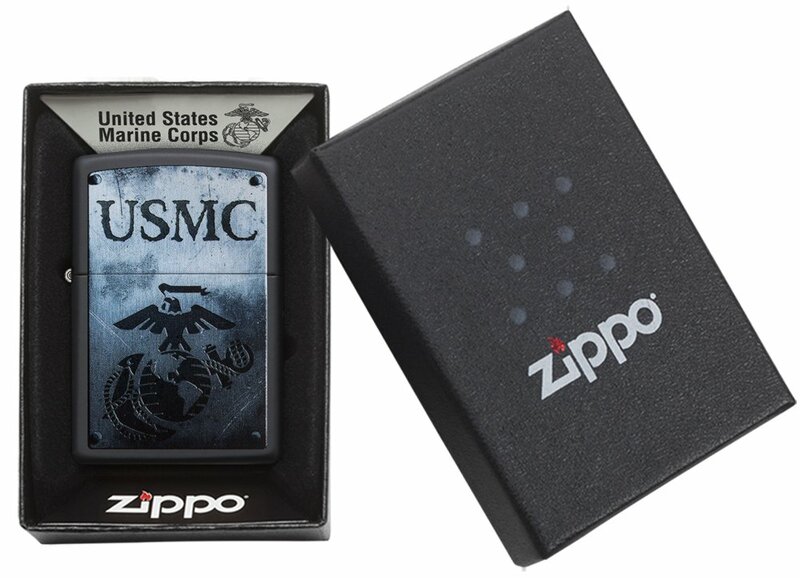 Zippo USMC textured armor lighter features a bold red U.S. Marines logo on textured armor. 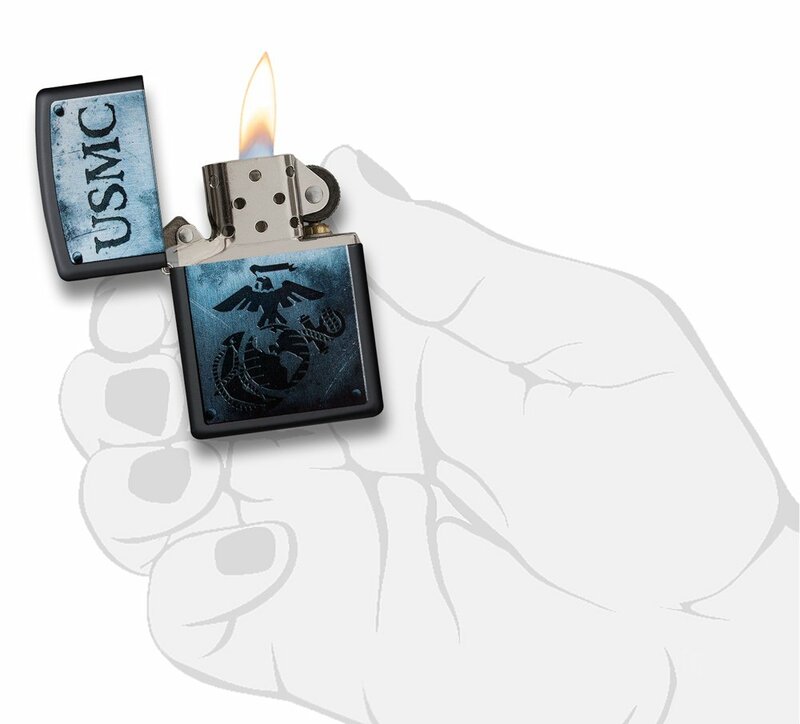 Fill the Zippo United States marine Corps lighter with premium lighter fluid to get the optimal performance you would expect from the Zippo.